The proposed business tax break* for equipment purchases will only be available to farmers who order by June 30, so Case IH Marketing Manager Stuart Brown says anyone considering a new purchase should talk to their tax advisor and plan a visit to their dealership now. Under the proposed tax break scheme, orders placed by the deadline will qualify if delivery is made by 30 June 2010. “Given the strong global demand for equipment it makes sense to order early anyway,” Stuart says. Case IH’s new product line up includes equipment across all farming categories, including the new Patriot 3330 sprayer, new Magnum and Steiger tractors with standard Automatic Productivity Management (APM) for fuel efficiency and two new large square balers. “We’ve also just launched our first all-new cane harvester in 10 years, the Austoft 8000, and we have a new six-model loader range,” Stuart says. 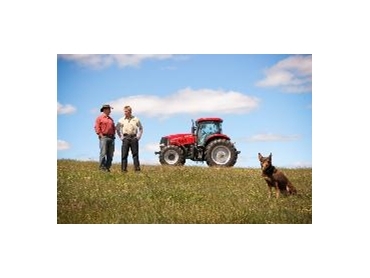 To assess any potential savings of a purchase, an online investment allowance calculator can be accessed at the Case IH website. * The business tax break is subject to Parliamentary approval and eligibility will depend on individual circumstances.